In Smartpur Kanchipuram, a meeting was initiated with the Tamil Nadu Animal Husbandry Department to understand the condition of livestock in villages. On March 30, a one-day training on livestock rearing was organised in Chamarajanagar, Karnataka to help diagnose the prevalent diseases as well. In Rajasthan’s Ardooka, DEF’s on-going campaign #NoMissingVoters was also conducted in full swing. On March 29, an Aadhaar formation and correction camp was conducted in Bharatpur. On March 30, the Smartpur hub centre was inaugurated in Chirala Mandal in Andhra Pradesh and subsequently a health camp was organised where 157 people got free heath check-ups. A livelihood event in association with Digital Empowerment Foundation’s Smartpur initiative and Department of Animal Husbandry & Veterinary Services Government of Karnataka was organised. The programme was a success with a total of 50 farmer participants who showed keen interest in the initiative and wowed to make it a success at the community level. The entrepreneurs in Rajasthan’s Bharatpur, are trying whole-heartedly to bring about change through their actions. They have initiated activities which reflect a sense of ownership towards Smartpur Project. One of the many events that they organised at spoke centre village in Ardooka was the #NoMissingVoters campaign under the Governance pillar. Similarly, on March 29, at the new hub centre of village Ladamka in Bharatpur district, under the Governance pillar, an Aadhaar information and correction camp was conducted that saw participation in large numbers. 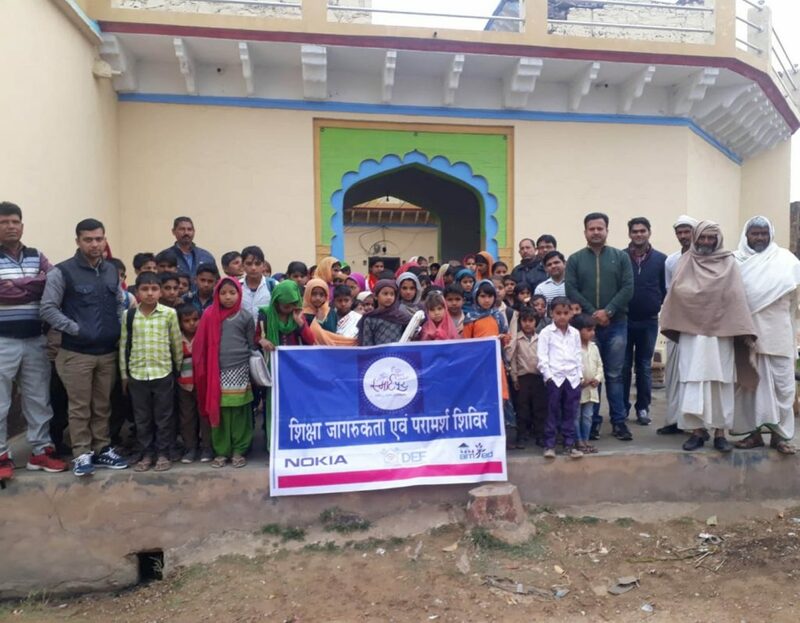 At Alwar district’s state village locations, activities have been initiated with mobilisation of the village community for awareness building. In Medabas village’s senior middle school an education awareness and counselling camp was organised. In this camp, the village members—few local level resource persons, teachers and students—were briefed in detail about the importance of education. They were further told about the concept of Smartpur and the benefits of digitisation. On March 31, a new Smartpur centre was inaugurated at a small village community level, opening up the six-pillar services to the families of the village. To begin with, a counselling camp was organised on the first day that saw participation of 187 people. Later in the day, health camps were conducted in two Smartpur villages (Mirzapur and Medabas) in Rajasthan which was attended by 154 and 110 people respectively. Participants also enjoyed a free health check-up as part of the programme. On March 30, the Smartpur hub centre was inaugurated in Chirala Mandal of Prakasam district, Andhra Pradesh and subsequently a health camp was organised where 157 people got free heath check-ups.